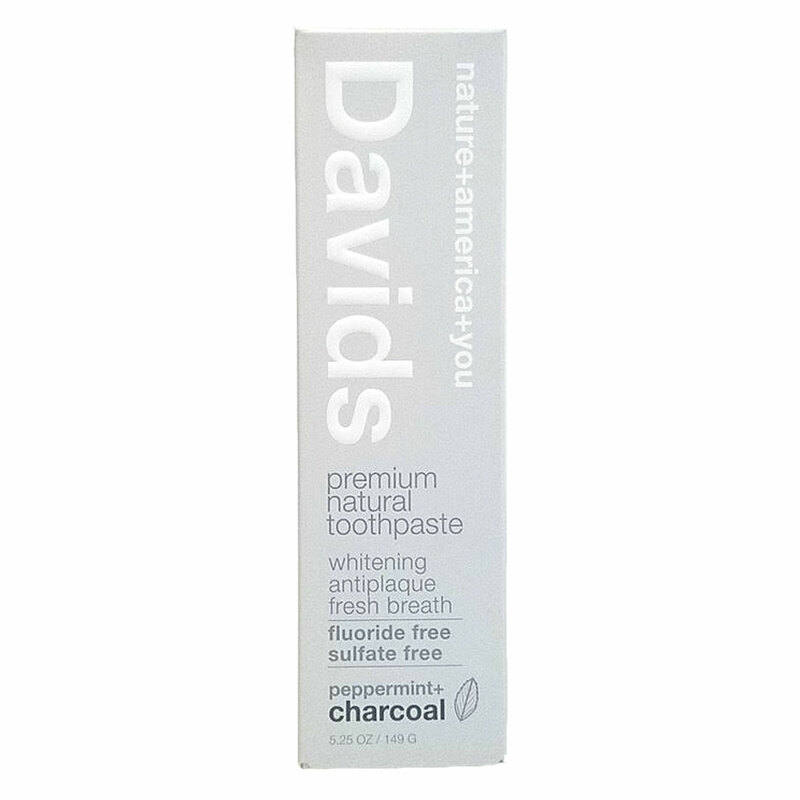 David’s Natural Peppermint & Charcoal Toothpaste leaves teeth feeling fresh and clean with charcoal, a natural mineral that removes the appearance of stains and visibly whitens teeth. Baking soda and ultra-fine silica are mild abrasives that cleanse and polish teeth. Seaweed powder creates a smooth consistency and lends a detoxified feel to the mouth. Xylitol is added for a lightly sweetened flavor and has the added bonus of supporting the appearance of healthy teeth and gums. Peppermint, spearmint, anise, and wintergreen oils create an enlivening blend that freshens breath instantly. 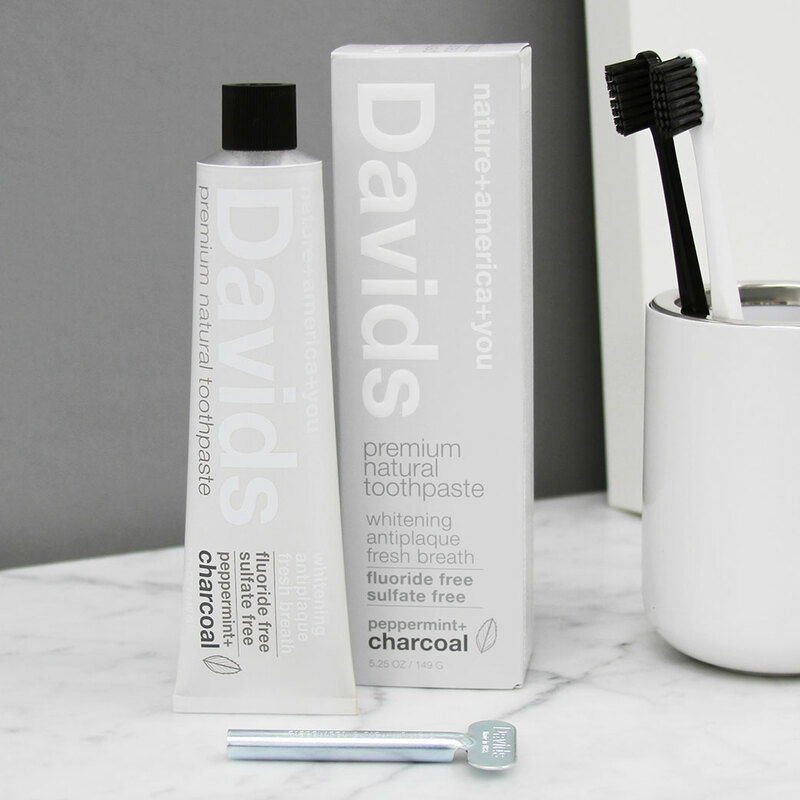 Free from fluoride, sulfates, and artificial flavors, colors, and preservatives. Apply toothpaste to toothbrush and brush thoroughly morning, night, and after meals. Calcium Carbonate (Limestone Abrasive), Purified Water, Sodium Bicarbonate (Baking Soda), Vegetable Glycerin, Hydrated Silica, Xylitol (Birch Derived), Sodium Cocoyl Glutamate (Coconut Derived), Carrageenan (Seaweed Derived), Mentha Piperita (Peppermint Oil), Mentha Viridis (Spearmint) Leaf Oil, Pimpinella Anisum (Anise) Seed Extract, Gaultheria Procumbens (Wintergreen) Leaf Oil, and Stevia (Leaf Extract).